It could have said anything; J's Customers, J's Fans, didn't matter. I was eating there. If you lived in the Lehigh Valley through the 1980’s and 1990’s, you were familiar with J’s Cheesesteaks and Subs. Amoroso’s rolls, or a very close imitator, book-ending fresh cold-cuts, cut thin, with stringy lettuce, ripe tomatoes, oil, vinegar, and I get mustard on mine. 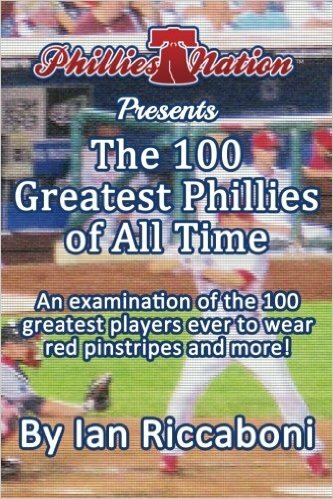 The cheesesteaks may even be better. I didn’t stand a chance. J’s was a 5 minute car ride from my house and on the way to and from every major childhood stop: my mom’s work, me and my brother’s middle school, my dad’s work, both malls, all three grocery stores we shopped at; we literally saw it every day. J’s, for reasons unknown to me, disappeared from my most convenient location, South Fourth Street, Allentown, PA, in or around 1999. It’s bad enough that I’m already addicted to hoagies. I love the texture, the taste, the combination of deli meats, cheeses, mustards, oils, vinegars, and pickles. The stringier the lettuce, the better, and if the tomatoes aren’t neon red, don’t put them on my hoagie. On a random errand run to Quakertown, I took a back way home to kill time and there it stood, shining like a sign from God in the middle of Telford, PA. It was J’s and it was open. 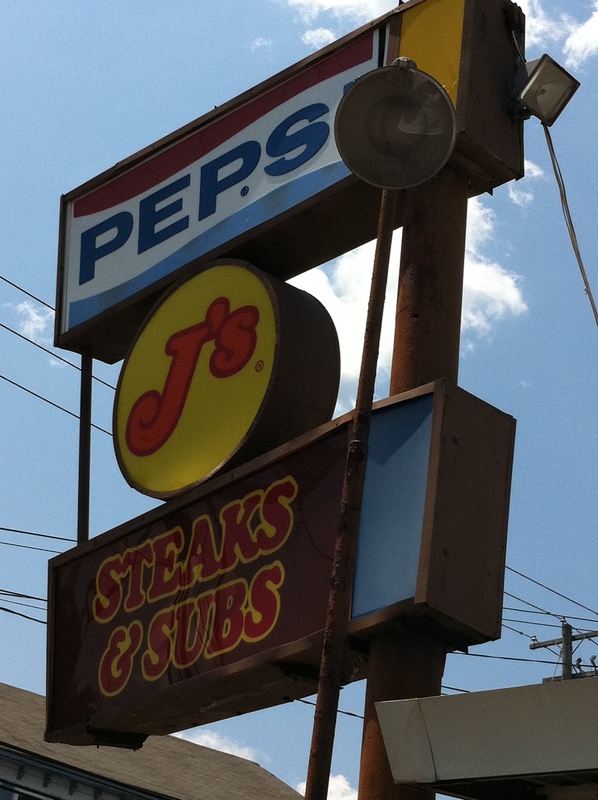 Like a lighthouse guiding me from Lansdale, the familiar J's logo means great hoagies and lots of fun memories. of it’s location. A few days passed and it became an obsession. I was hyping it to my mom, telling my brother about it, and having dreams of dancing hoagies. I had a bowl of oatmeal (two packets of Quaker Weight Control, 320 calories, 14 grams of protein, 12 grams of fiber, and only 2 grams of sugar) on Wednesday morning and read some of the new ESPN book. I assembled some patio furniture when my mom offered to take me to lunch. This was my opening: I suggested J’s. I had seen they have a Facebook page and, being my father’s son, I printed 2 copies of the 7 inch sub, small fry, and small drink for $4.99 coupon. We were headed for Telford. I had a calorie deficit going into Wednesday but I didn’t want to binge. I needed to make a smart choice on the sandwich to offset eating the fried food. I knew going in that I was going to eat the fries. They were a small and the serving size while a great value was small enough that it didn’t make a dent in my healthy eating on a day where I was planning to cheat. The fries were very similar to Oreida Fries, which for one serving are 130 calories, 2 grams of fiber, 1 gram of sugar, 2 grams of protein, and 21 grams of carbs. Oreida’s facts list the serving as 11 fries; J’s gives you about 18. For argument’s sake, let’s say it’s two servings for 260 calories plus will throw in 140 more calories for whatever they’re frying it in, making it an even 400. Using Wawa’s nutritional information, I calculated what my hoagie would be since the products and ingredients used are very similar: 440 calories, 25 grams of protein, 2 grams of fiber, but 2850 grams of sodium, 450 more than the daily recommended value from the processed meats, cheese, and bread. The fries also had a tremendous amount of salt; in addition to the processed salts, they were salted after coming out of the frier. I wouldn’t hesitate to estimate there was at least 2000 mg of salt on the fries. To drink, I had water. The meal was moderately high in calories even when choosing the healthiest sandwich on the board and only drinking water at 700 calories. But the taste. And the memories. It is no hyperoble that when I say it tasted just like I remembered, if not even better. I savored every last bite. The juice from the pickles, the way the cheese interacted with the turkey, the salt from the fries. They had a crane game. An old, early 90’s cop shoot-’em-up, not unlike the N.A.R.C. machine that sat at the entrance to the que at South Fourth street. Even the restaurant smelled like the one on South Fourth Street! This was a dream come true. I just wish my brother Bill could have been up from Florida to share this with us. Two beautiful J's hoagies with fries. 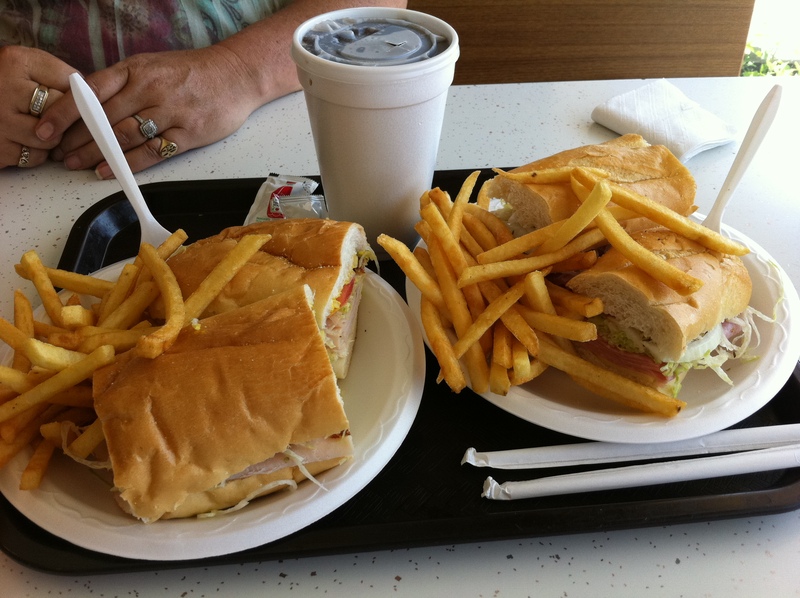 An Italian and my turkey hoagie, with Mom across the table. Before I wax any further, the rest of the day was a success, minus the increasingly frustrating salt encounters. After lunch, I was at 1020 calories, 41 grams of protein, and 14 grams of fiber. Through the rest of the day, I had two plain Chobani’s topped with fresh blueberries, determined on Day 2 that two Chobani’s topped with blueberries “equaled about 220 calories, 36 grams of protein, a gram or two of fiber from the blueberries, and the added benefit of flavor and cutting about 80 calories per Chobani from the prepacked Chobani blueberry flavor thanks to erasing the sugar heavy blueberry mix they use.” And I also had my three protein shakes: one before my workout, one after, and one before bed. As established on Day 1, the three shakes total 550 calories and 120 grams of protein. 1020+220+550=1790 calories, with 177 grams of protein. For dinner, I had a natural peanut butter sandwich on Arnold’s Multi-Grain bread that was established on Day 1, which comes out to 620 calories with a little bit more than 30 grams of protein per sandwich, with about 10 grams of fiber. For the day, I was at 2410 calories, about 210 grams of protein, 26 grams of fiber, and super low levels of simple sugars. Day 3 was a successful day even though I made a choice in eating the fries that was against my self-appointed rules. I maintained high fiber consumptions, I drank over four gallons of water, I avoided any beverage with calories, was in my 2000-2500 calorie range, I avoided simple sugars, I ate five times, and I consumed a gram of protein per pound of my body weight, which was 201 lbs at the start of the day. Wednesday was not a lifting day, so I spent 90 minutes on the elliptical on fat burn mode, burning just under 1,100 calories at a nice pace. Finding new ways to eat protein is very challenging; there is really only so much Greek yogurt and shakes I can consume. I may inject some cottage cheese into my diet, which includes slow burning cassein protein. Finding ways to keep eating is challenging. When I eat right, or come close to eating really well, I am much fuller faster. The proteins and the fibers fill me up and I have to force myself to consume more protein. It’s only Day 3, but I’m feeling better. My moods are better, my sleep is getting better, and my muscles aren’t as sore from exercise the next day. I’ve made nice gains in my leg lifts and chest lifts. I feel better when I’m at the gym. The positive decision to eat well for one me propels me to have confidence to work as hard as I can at the gym.